Springer has announced its 50,000th eBook, available on its online platform SpringerLink (www.springerlink.com). 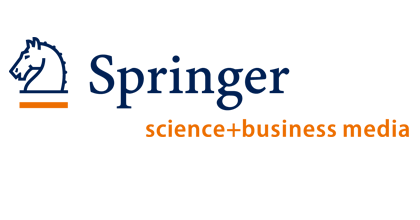 This milestone underscores Springer’s position as the largest eBook publisher and emphasizes SpringerLink’s dominance in offering the world’s most comprehensive online collection of science, technology and medicine (STM) journals, books and reference works. In addition, as announced in October 2011, Springer will digitize nearly all books it has published since 1842. By adding the Springer Book Archives to SpringerLink by the end of 2012, the total number of titles will increase to well over 100,000 eBooks, including valuable historic research dating back to the 1840s. Springer launched its eBook collection in 2006. For the fifth anniversary, the publishing house consulted leading librarians across the academic, corporate and government sectors to gain their perspective on the past, present and future of the eBook revolution. Springer eBooks’ PDF and HTML documents are fully searchable, free of Digital Rights Management and can be downloaded, printed, and also loaded onto mobile devices such as tablets and mobile phones. In addition, once a library purchases Springer’s eBook Collection, they own the book content for their use in perpetuity. The Springer eBook Collection provides MARC 21 records, free of charge. In addition, OCLC MARC records for Springer eBooks are available free of charge to eBook customers.